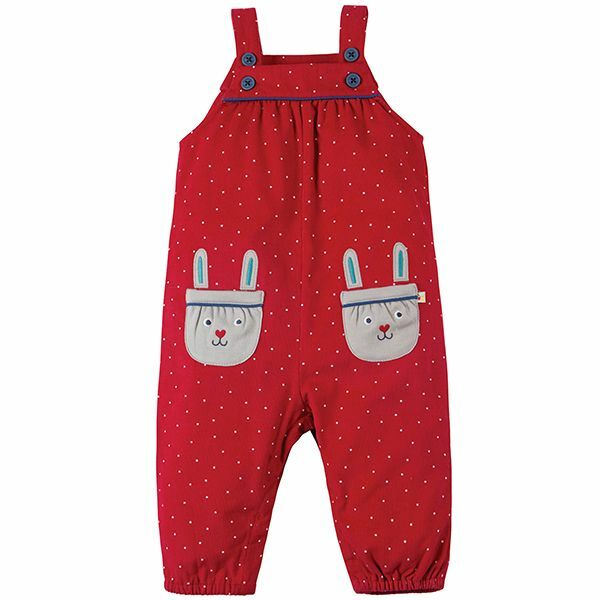 With cute Rabbit patch pockets on the front, these sweet Maple Cord Dungarees have fab adjustable button up straps to help them last longer! Layer up with a long-sleeved body and cosy cardigan for a warm winter outfit. Festive Mars Red Snowy Spot all over print. Cosy Organic Cotton Jersey lining in Mars Red with a fuzzy peached finish.